Last weekend, Andy and I joined a group of other travel journalists on a media tour of the Hyatt Regency Monterey Hotel and Spa. Hyatt Regency Monterey Hotel & Spa (which underwent a $65-million renovation in 2009), features 550 guestrooms (32 suites), a President’s house, TusCA Ristorante, Knuckles Sports Bar, Lounge, fitness facility, tennis courts, fire pit, 2 swimming pools/whirlpools, Accista Spa, and a conference center (with 40,000 square feet of meeting and event space). 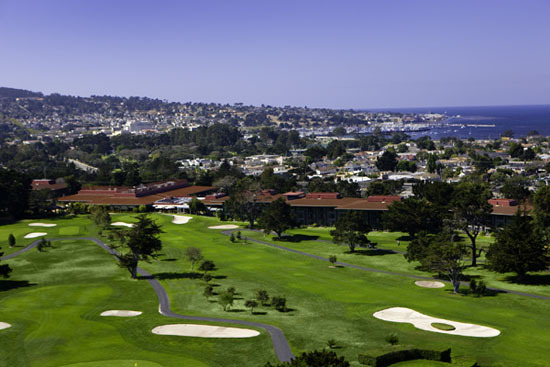 It is located next to and overlooks the Pebble Beach Company’s Del Monte Golf Course. The beach and bay are just minutes away, as are prime attractions like Fisherman’s Wharf, Cannery Row, and the Monterey Bay Aquarium. Below is a rundown of all the amenities and services to be enjoyed during one’s stay at the Hyatt Regency Monterey Hotel and Spa. 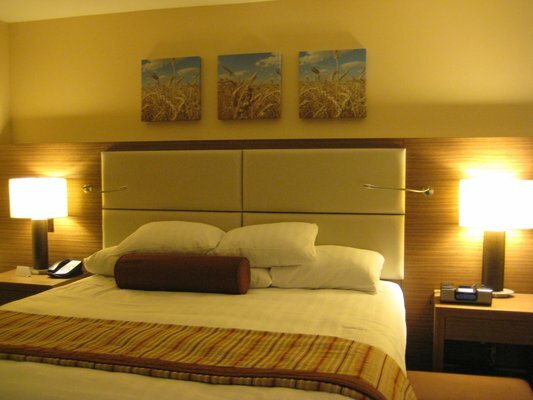 Rooms & Amenities: 550 renovated guest rooms, 32″ LCD flat-panel TVs, iHome stereo with iPod®docking station (love! 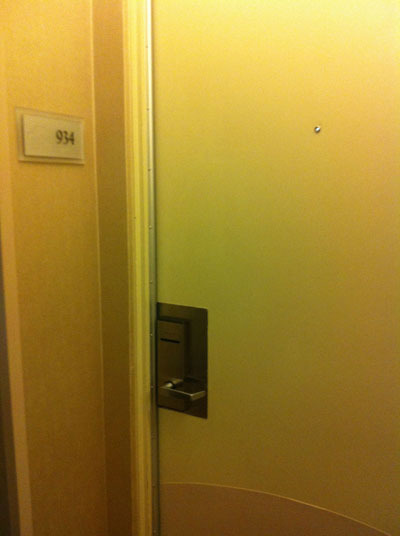 ), Hyatt Grand Bed™, In-room safes and refrigerators, bathrooms with walk-in rain showers, and raised sinks. 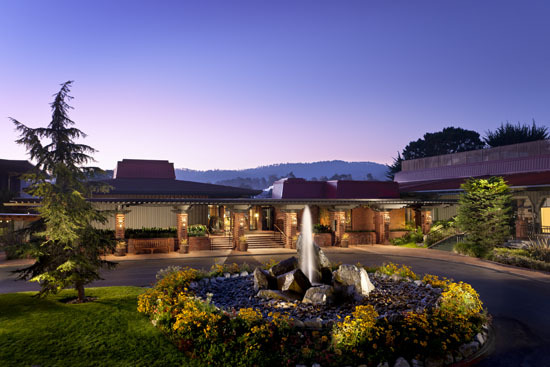 Guest Services: Complimentary shuttle from Monterey Airport, Hyatt Fast Board™, PDA Check-in, Self Check-in kiosks, the Regency Club, a 24-hour fully automated business center, a gift shop with wine tasting room, pet friendly, les clefs d’or concierge. Dining & Entertainment: TusCA Ristorante, award-winning Knuckles Sports Bar, Fireplace Lounge with live entertainment, a coffee bar with barrister, in-room dining. 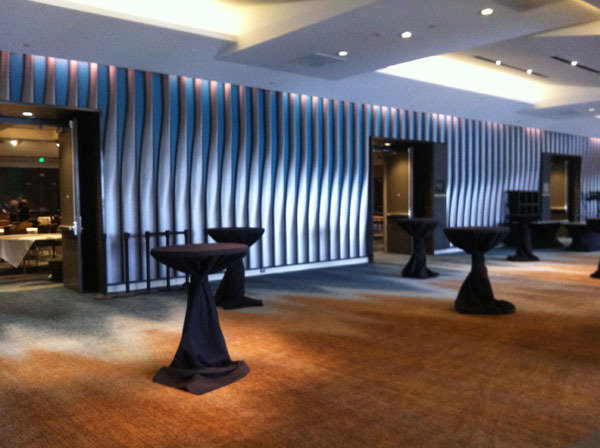 Meetings & Events: 40,000 square feet of flexible function space, unique indoor & outdoor settings for weddings and social gatherings, innovative catering for onsite and offsite events, expert planners and an AV company on-site. 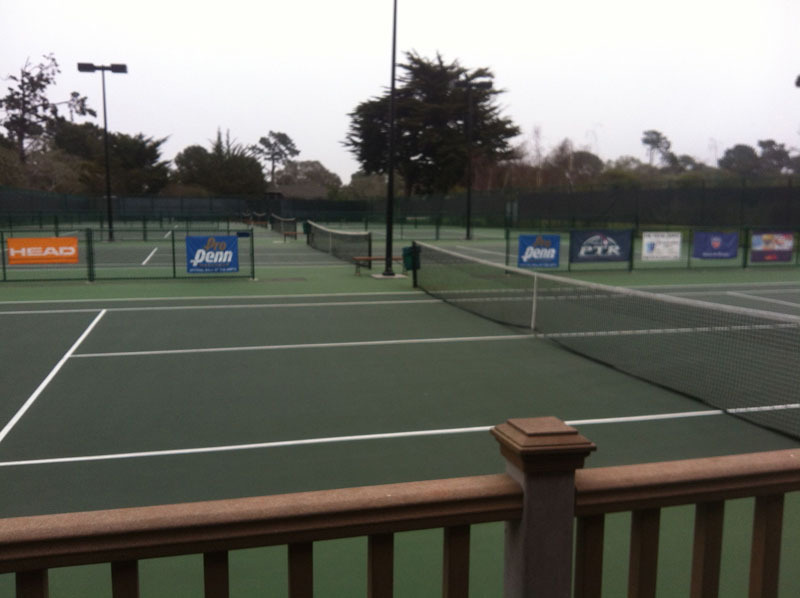 Accista Spa with full service salon, Pebble Beach Company’s Championship Del Monte Golf Course, a full-service racquet club, corporate team-building events, 24 hour gym, pools, massage therapy, biking, jogging and walking trails, YogaAway™. Local Attractions: Monterey Bay Aquarium, Cannery Row, Carmel-by-the-Sea, Big Sur Coastline, Monterey County Wineries, Pebble Beach Golf Courses, and Fisherman’s Wharf. 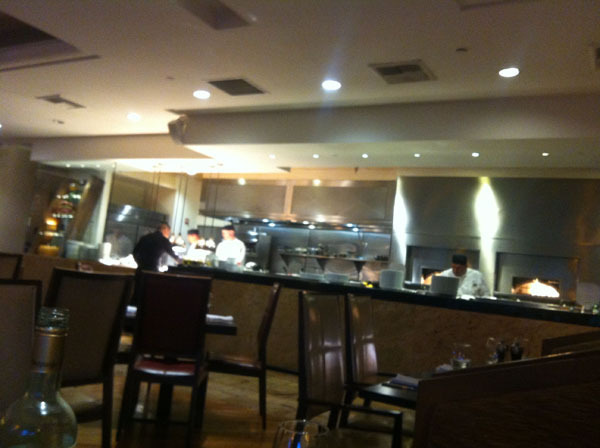 After settling in, it was time for our dinner at TusCA Ristorante inside the main lobby building. 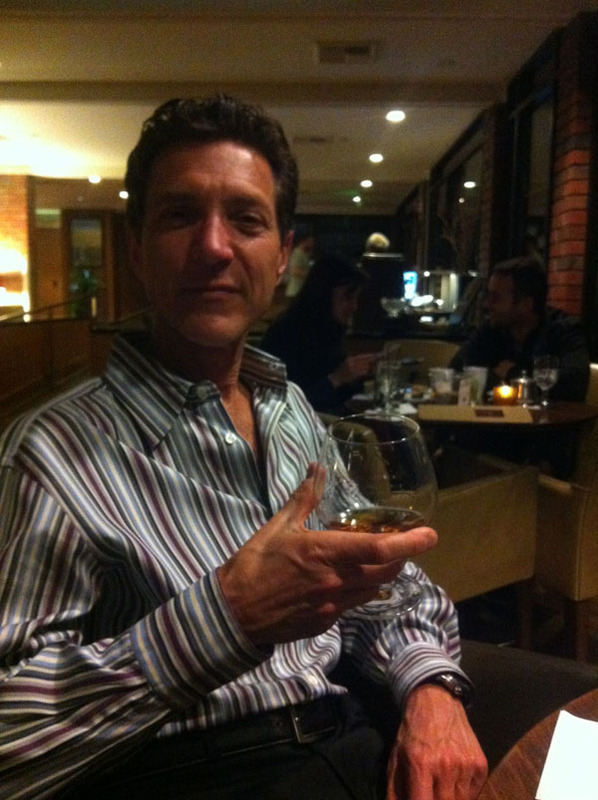 It was so nice to have dinner at the hotel because we had been traveling for quite a while, and I was a little too tired venture out for fun. 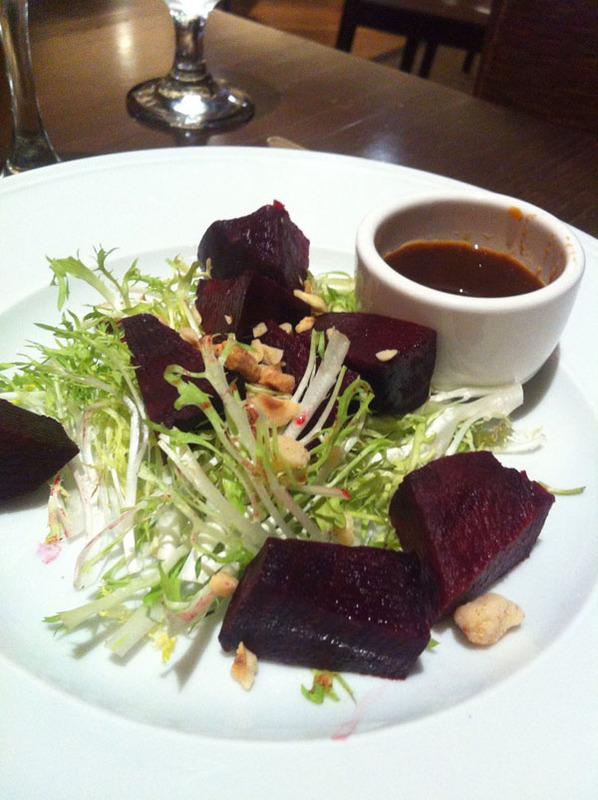 TusCA features farm-fresh California cuisine with a Tuscan twist. Our first glass of wine was the house Chardonnay: Canvas, by Michael Mondavi, which I am told he makes exclusively for the Hyatt. We studied the menu (lots of wonderful things from which to choose… entrées ranging from pizzas and pastas to main courses both with meat and vegetarian friendly). You can download their dinner menu here (the menu changes) to get an idea of the plates you might see at the restaurant. 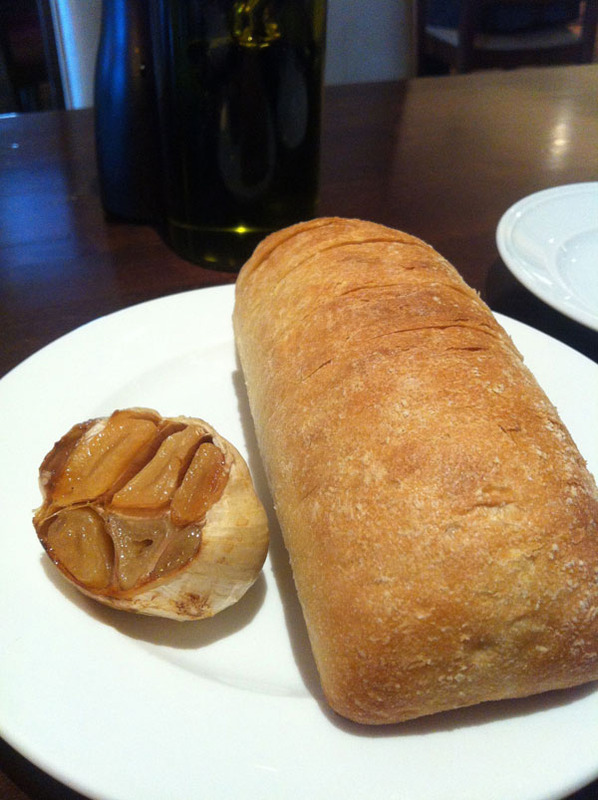 Each table gets a basket of bread to begin (a bit laughable to us, being Paleo), but we LOVED the roasted garlic that it came with and shared it before our salads came. 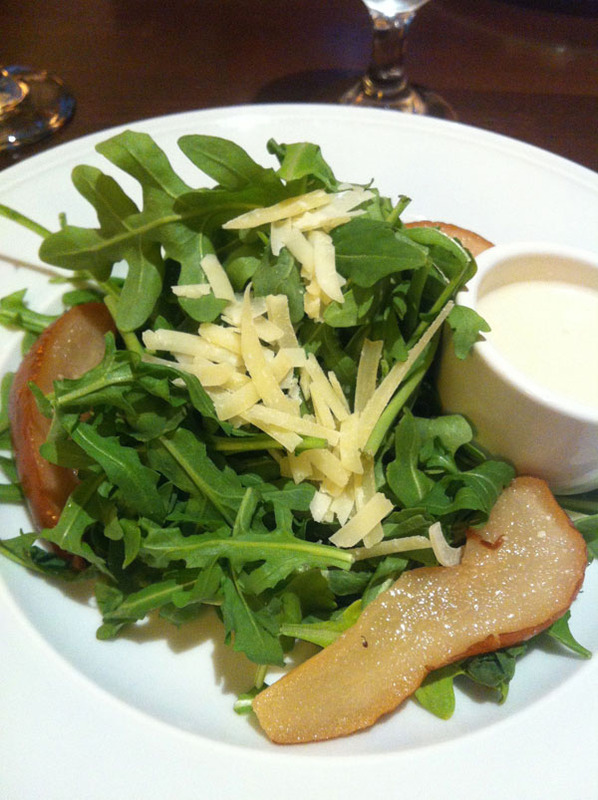 I ordered an Argula, Bosc Pear, and Reggiano Salad with the Lemon Grape Seed Vinaigrette on the side. 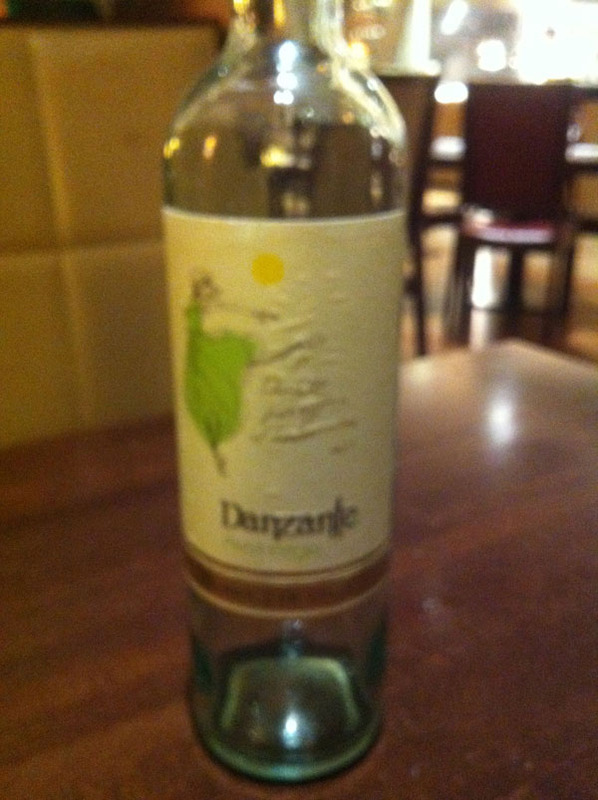 Then we chose a bottle of pinot grigio to drink with our entrées. Danzante, Venezie, Italy. Before we chose our main courses, Chef Mike came out to greet Andy and I at our table and to talk to us about this website and the Paleo diet. I thought it was admirable that the chef did a little homework and wanted to prepare a suitable Paleo meal for us! 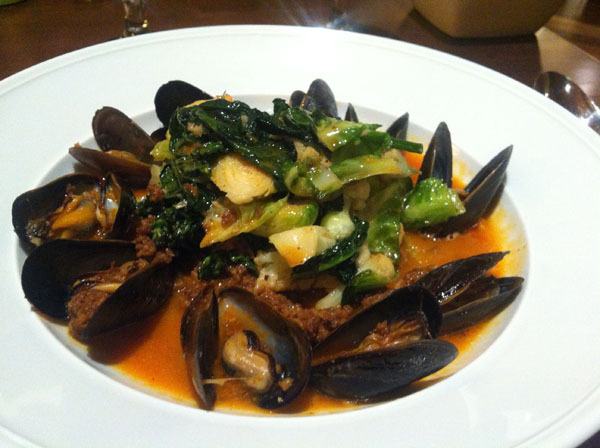 🙂 He was willing to swap out any noodles or rice with extra vegetables, even for the special that evening: Whole Wheat Pasta with Chorizo, Kale, and Mussels. Since the special could be “Paleo-ized”, that’s what Andy chose. 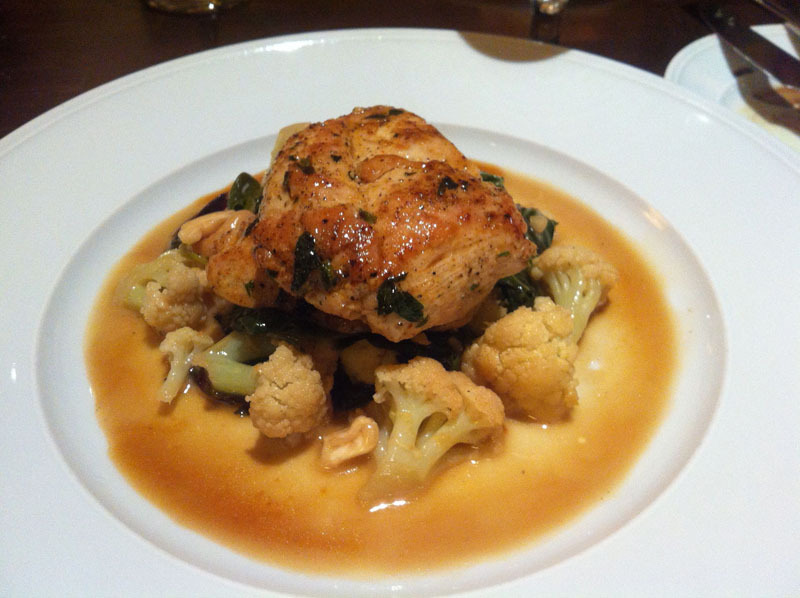 I went with a Chicken Breast with Cauliflower, Cashew, Rainbow Chard and Maple Jus. The meal at TusCA was wonderful, as was the service from our waiter, Josh. Thanks again to Chef Mike and staff for our warm welcome to Monterey. On Sunday, May 12th, 2013, TusCA Ristorante will serve Mother’s Day Champagne Brunch from 10:30 a.m. to 2:30 p.m. Live entertainment will be provided by the David Morwood Jazz Band. Reservations are strongly suggested. You can find TusCA on OpenTable here or call the restaurant at (831) 657-6675. 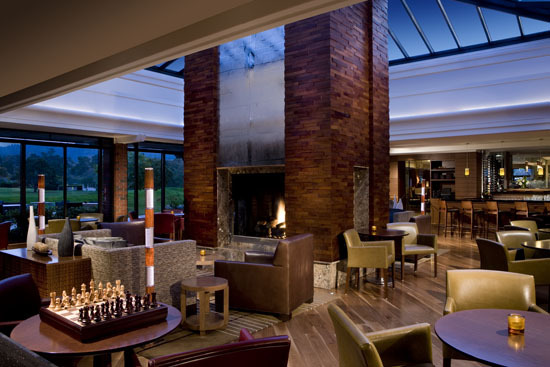 After dinner, Andy and I walked over to the Fireplace Lounge (steps away from the restaurant–in fact, you don’t even have to go outside since the lounge is situated between TusCA and the main lobby area). 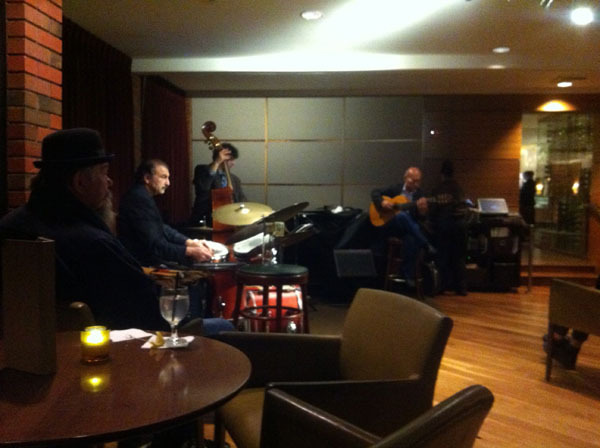 We sat down at a table and ordered a round of drinks while we listened to some live jazz. On weekends, Fireplace Lounge welcomes the local talent of jazz musicians Marshall Otwell and Dr. David Thomas Morwood. There is always entertainment on weekend evenings and Sunday mornings. Across from Fireplace Lounge is Knuckles® Historical Sports Bar which has been voted by locals as the number-one sports bar on the Monterey Peninsula for ten years in a row. Recently, they launched a Cheese and Beer Pairing Menu, and have introduced California’s first Table Tender system which offers self-service draft beer with two taps at a table seating up to 12 people. The next day, Andy, me, and the rest of the invited writers took a tour of the property. The Hyatt Regency Monterey has two heated, outdoor free-form pools (one of which Frank Sinatra once drove his car into). There are also two outdoor whirlpools, a new 12,000-square-foot full-service spa, featuring spa suites and a host of soothing treatments, the Hyatt Stay Fit gym available 24 hours (with men’s and women’s shower rooms), jogging paths; bicycle trails and bicycle rental, a racquet club with lighted tennis courts; tennis lessons available, and the on-property, 18-hole Pebble Beach Company’s Del Monte Golf Course with preferred tee times for hotel guests. We were also able to take a look at the new conference center equipped with a total of 40,000 square feet of meeting space, including 10,000 square feet of prefunction space and 19,000 square feet of exhibit space. 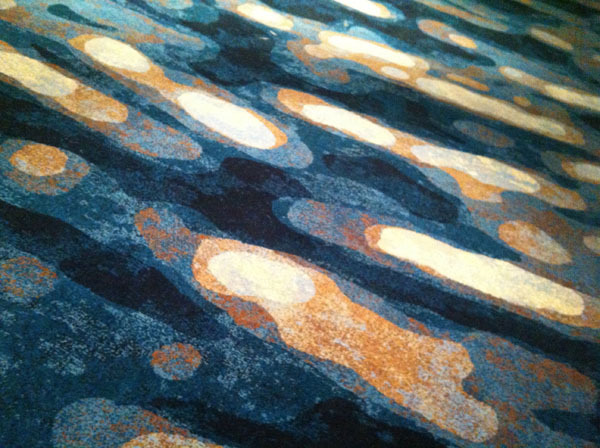 Below is a picture of the carpet in the conference center. I loved it! The unique thing about it is that it is non-repeating in its pattern! There is also a President’s House on the property. A four-bedroom, five-bathroom stand-alone home with a complete kitchen, a private patio, a heated swimming pool, and an open-beam living room and den, both with fireplaces (which was occupied at the time of our tour). After the outdoor tour, our group was given a tour of the Accista Spa facility. I was quite impressed with both the gym and the spa at the Hyatt Monterey. The gym had at least 4 treadmills as well as several ellipticals, stationary bikes, free weights, toning and strength training machines, resistance bands, exercise balls and stretching/yoga mats. Take it from me, this is the place to stay if you love working out! PS: It’s open 24 hours a day! Each member of our tour group was treated to a spa treatment that morning: massage or pedicure, etc. Andy and I chose a 50 minute Signature Accista Couples Massage. Shout out to Elli (my masseuse) for her great work on my shoulders and legs. In the locker room there is water with fresh fruit in it and in the waiting room there is fresh fruit, water, dried cranberries and pecans. They must have known I was coming. 😉 To see all the ways to spoil yourself at Accista Spa click here for their menu. We had the rest of the day to ourselves, so Andy and I went to the Monterey Bay Aquarium and then had dinner at the Old Fisherman’s Grotto. I mention the restaurant because I think it’s important you go there if you visit Monterey. It’s so old school, but not outdated. There are great deals on wine and locals get discounts. 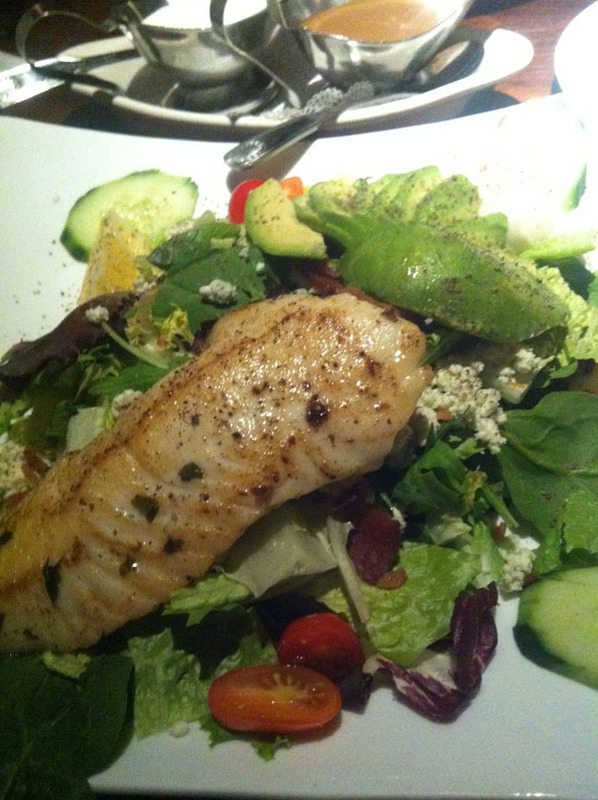 I had my favorite meal (a Cobb Salad) only with halibut on it instead of chicken. Loved it! 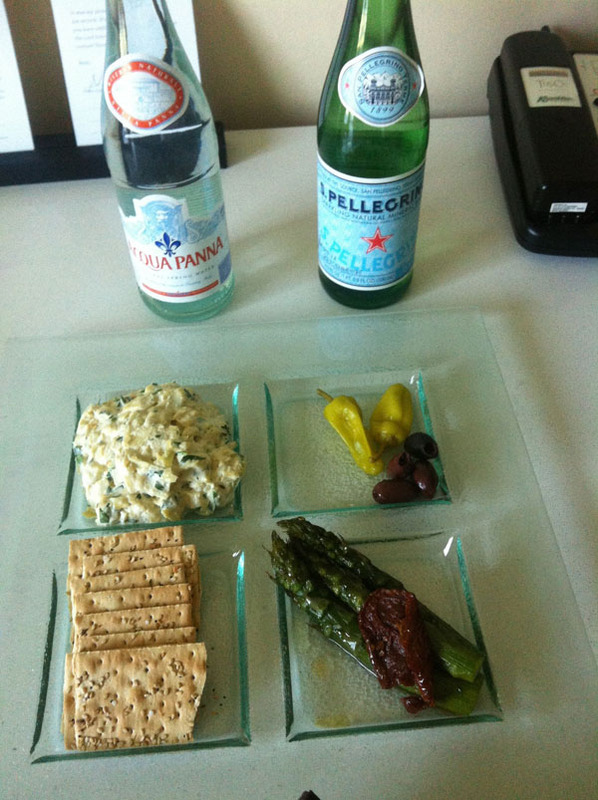 Then when we got back to the room, we saw a nice little evening snack had been left for us by the hotel staff. 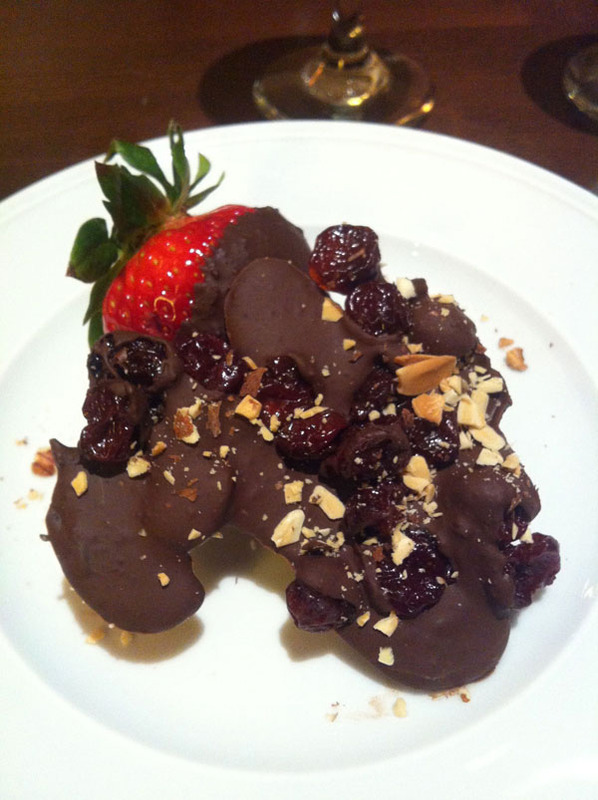 (It is another plate from the room service menu). I allowed Andy to do most of the damage on this one, because I still had a few leftovers from our other meals. We poured some wine (we brought some of our own wine on the trip because of the refrigerator in the room) to enjoy before we called it a night. 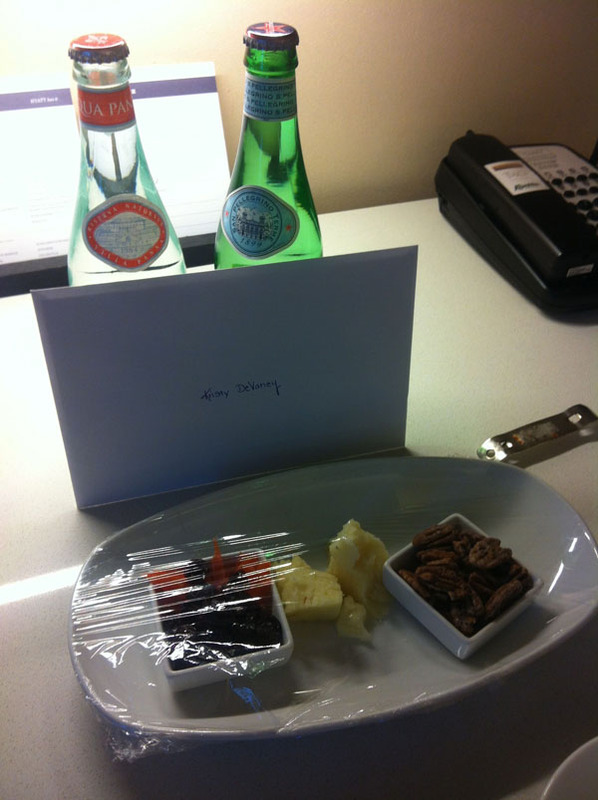 A big thank you to the management and staff of the Hyatt Regency Monterey Hotel and Spa. Andy and I were honored to tour and stay at the property and give my readers a look at what your hotel has to offer their guests, as well as so many improvements you’ve made over the hotel’s development. 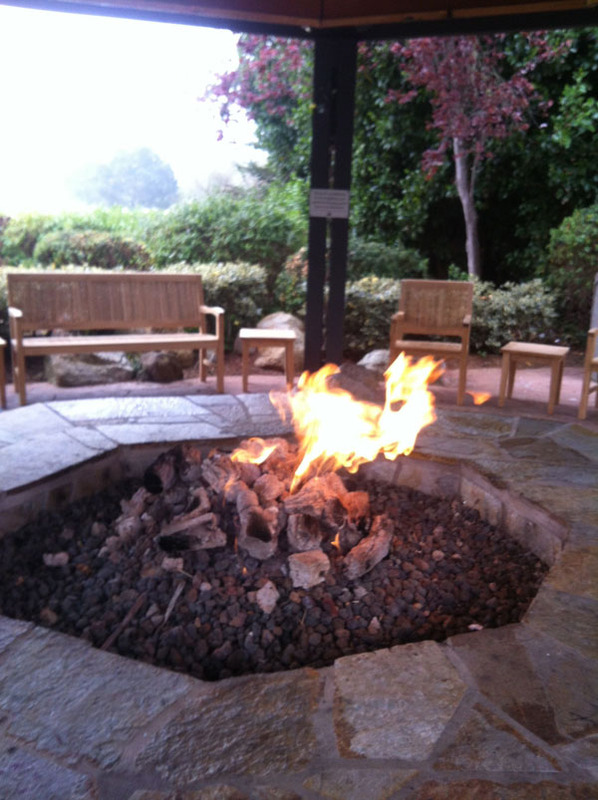 You can find the Hyatt Regency Monterey Hotel and Spa on Facebook here and on twitter here. This entry was posted on March 26, 2013 by cavegrrl. It was filed under Uncategorized and was tagged with food, Hyatt Regency Monterey Hotel and Spa, Monterey, Old Fisherman's Grotto, restaurants, travel, TusCA Ristorante, wine.